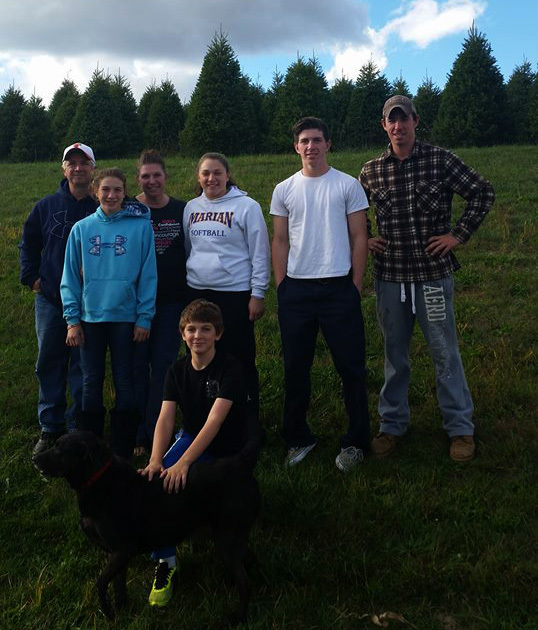 The Salerno family purchased the farm in October 2015. With just a few weeks until Christmas, we were up and running almost immediately to fulfill everyone’s holiday wishes. 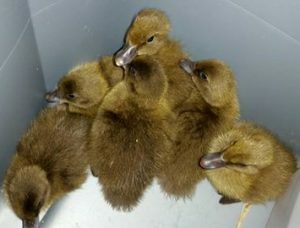 Our immediate family (from left to right): Peter, Sophia, Sue, Nicole, Dante & PJ. With Christian and our dog, Bruce, in the front. 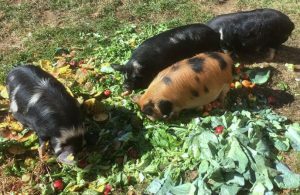 Daisy, Delilah, Hampton & Gandolf were the first animals added to the farm in November 2015. 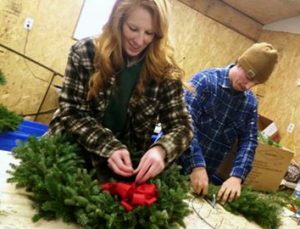 PJ’s girlfriend, Lauren, jumped right in to help make wreaths. 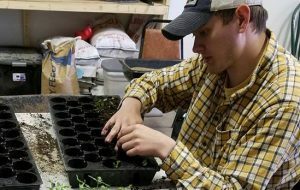 Before the ground could thaw, it was time for Tyler to help with the planting and preparations for fresh produce at the farm. 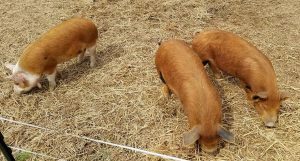 In April, we added three new pigs. 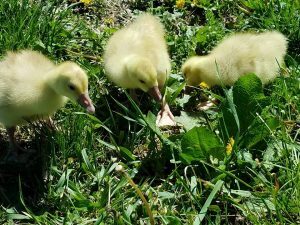 In May, we added three geese. 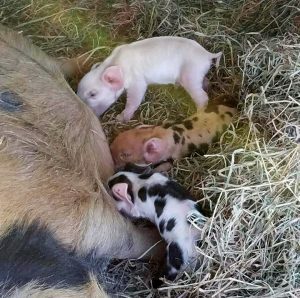 And in June 2016, Delilah had babies and we welcomed three new piglets to the family. Information about our 2017 Vegetable CSA will be coming soon! 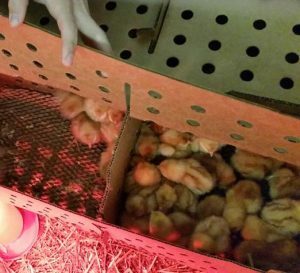 Our new Egg CSA is available now!